This air defense radar unit is a further development of the P-15. 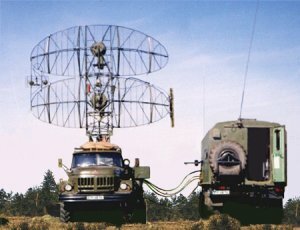 Just like the predecessor this radar unit was designed especially against aims flying in very low altitude. It is loaded on two trucks ZIL 131. The antenna is separated from the electronic equipment container now. The secondary radar unit “Parol” was integrated. A digital plot processing was retrofitted. The aim data were sent over radio link (radiostation R-123) to the mobile command post.